Russia is not ruling out any steps “to bring the US to its senses,” Deputy Foreign Minister Sergey Ryabkov has said. 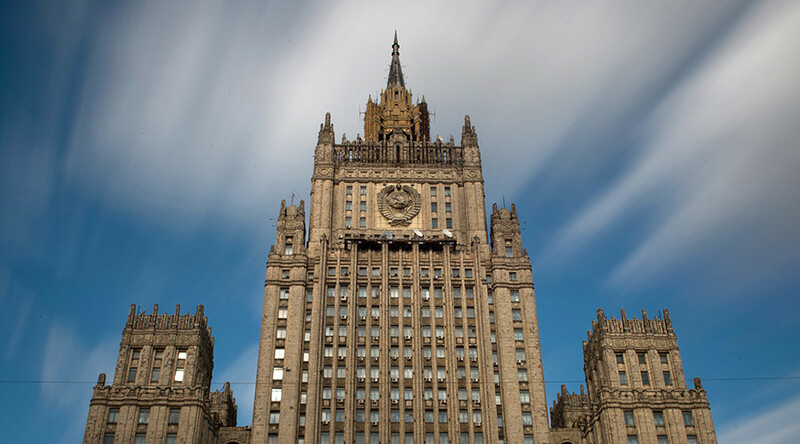 The statement comes after Moscow’s decision to reduce the number of US diplomatic staff in Russia and suspend the use of American embassy storage facilities. Ryabkov also warned that the retaliatory measures are not limited to the reduction of US diplomatic personnel and the seizure of diplomatic property. “We cannot put up with Russophobic mayhem on Capitol Hill, which was expressed in the adoption of an unprecedentedly far-reaching document in both chambers,” Ryabkov told RT. “We believe that our American colleagues had enough time to weigh up the potentially destructive consequences of such actions,” he added. Criticizing the new round of sanctions approved by US lawmakers on Tuesday, the deputy foreign minister said that Russia would not accept such actions. “Russia will never submit to this kind of techniques. We stand for international law, for the fair, consistent finding of necessary solutions to world problems, which can be found only together,” he said. The sanctions are aimed at “intimidating the whole world with the consequences of disobeying [America],” according to Ryabkov. The main thing now is to impede US attempts to “impose its will” on the rest of the world, he told RT. The latest restrictive measures against Russia are “illegitimate” as the US is only trying to gain advantages from them, Ryabkov believes. While Moscow announced the decision to reduce the number of US diplomats in Russia to 455 by September 1, it is not clear exactly how many people will have to leave to meet the new requirements. While the US side has not commented on the issue so far, the Western media rushed to ask Russian Foreign Ministry spokesperson Maria Zakharova to give the number of US diplomatic staff. “I was hit by the American media” asking about the numbers of US mission employees as the US embassy is silent, Zakharova wrote on Facebook. “I hope the State Department will be more talkative today and they will officially announce the number of their employees,” she stated. Russian Senator Aleksey Pushkov said that the retaliatory steps had been looming for a long time, but that Moscow hoped relations with the US administration would improve. "The retaliatory measures to the expulsion of our diplomats and the arrest of our diplomatic property in the United States have been brewing for a long time, specifically since December. They were not taken only because there was hope that the relations with the Trump administration would become better. 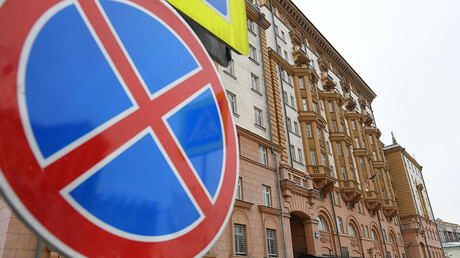 Not to spoil the prospect, the Russian leadership refrained from imposing retaliatory measures,” Pushkov told RT. He added that the US president seems to have little choice but to approve the Senate sanctions, as if he tries to veto the bill, the decision will be overturned by US lawmakers. Neither Russia nor the United States seem to show any intention of backing down from the diplomatic standoff, said Thomas Fasbender from the Dialogue of Civilizations Research Institute. If the diplomatic standoff continues, Fasbender warned that the sanctions on both sides could hurt not only Russia and the United States, but also Europe economically. “There was of course a fear that Russia might sanction to an extent the activities of US companies who employ, from my knowledge, around 135,000 people there. That this did not happen signals that, from the Russian point of view, reason prevailed,” he continued.